The Kids in Christ children challenge you to be part of this movement by bringing non-perishable food items and monetary donations to worship, now through Super Bowl Sunday, February 3, 2019. Special needs include: boxed macaroni and cheese, oatmeal and other cereals, meals in a can, soups, canned fruit, and Ramen noodles. Food donations may be placed in the container just inside the main lower entrance. Monetary donations may be placed in the canisters in the Fellowship Hall or Welcome Desk areas. All donations will be given to the Samaritan Center which currently provides food to about 1,400 families EACH MONTH. 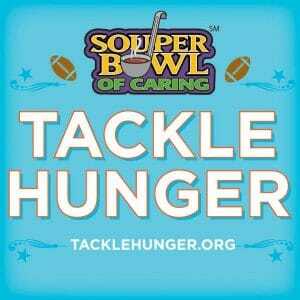 Change the game plan and help tackle hunger in our own community.